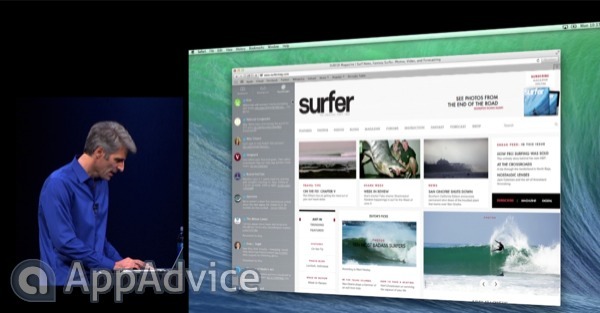 Apple has announced a revamped Safari for Mac app at its WWDC 2013 keynote. 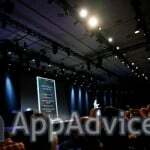 The new application will launch with OS X 10.9 Mavericks, the company's recently unveiled operating system. New features include a brand new Home page for Safari and a "Shared Links" interface, via which users can easily see URLs posted to social networks such as Twitter and LinkedIn. In addition, a number of under-the-hood improvements have been made to the application, one of which allows for super fast accelerated scrolling at almost 60 frames per second. 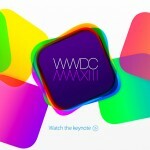 For more of today's news, see: Apple Once More Improves Its Line Of MacBook Airs, Apple Introduces iCloud Keychain, Apple's All-New Calendar App In OS X Mavericks Sure Looks Good.